At the start of Season 1, we previously talked about how our beloved Thicc Bois (Pathfinder, Gibraltar and Caustic) were getting crushed due to their hitbox size compared to other Legends. We first wanted to try adjusting hitboxes to better fit the model. For Pathfinder, this change worked very well. (Note: separately, we are actively investigating and working on fixing unrelated hit registration issues sometimes affecting all characters). However, after looking at the data and player feedback, Gibraltar and Caustic only improved slightly with the hitbox adjustments. We don’t believe that hit box and character kit tuning is sufficient to bring Gibraltar and Caustic in line with their smaller competitors. 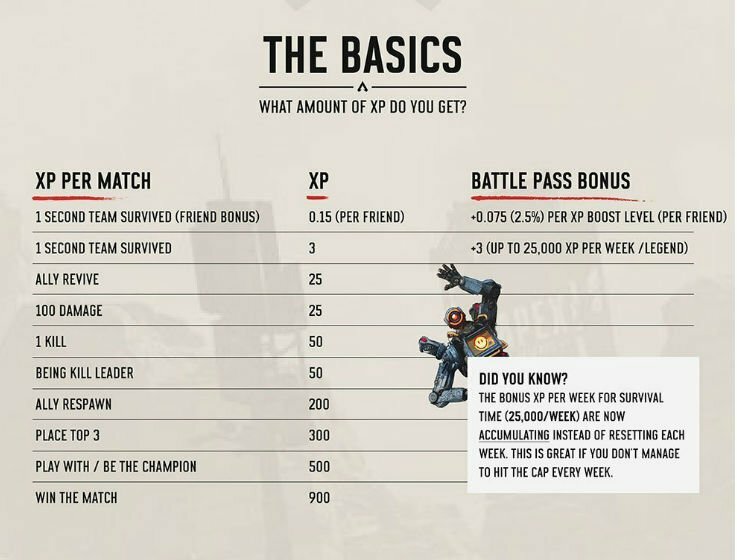 Starting with Patch 1.1.1, Gibraltar and Caustic will get a new perk added to their passive – Fortified, which reduces damage taken by 10%. Over the week or two following this change, we will be watching how they perform with this additional protection and aggressively tune it if they are still underpowered relative to their size. Our goal is to ensure both Legends are viable picks by the end of this process. 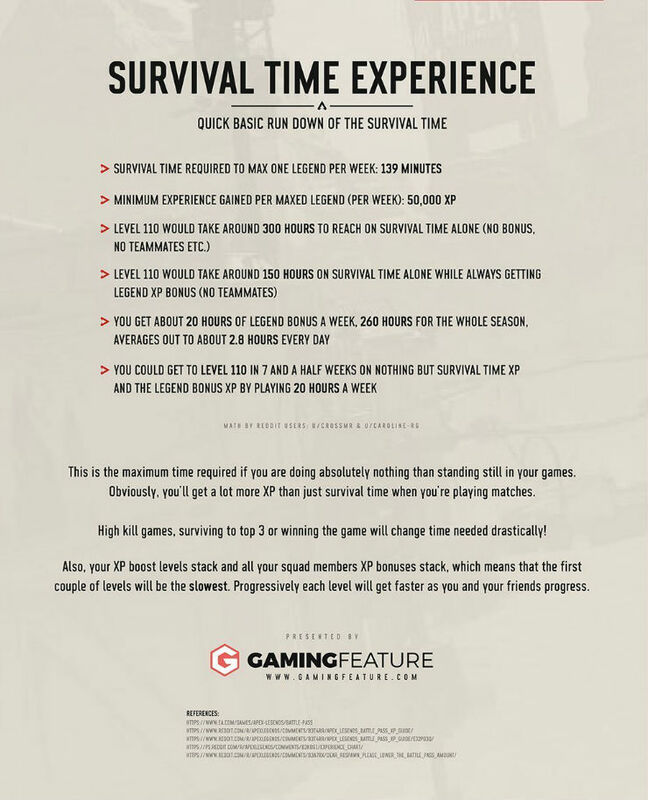 Additionally, we’re also making a few quality of life kit adjustments to ensure their marquee abilities are a more impactful part of their individual playstyles. Next up is some weapons balancing. This is a slightly more delicate issue, focusing on making sniping more effective. They’re also nerfing the Spitfire and Wingman weapons and buffing the Havoc. On the weapons side of the equation, we’ve made a number of changes to try to improve the power of long range gameplay. We’re reducing leg shot damage reductions on sniper category weapons, so you’re not punished for landing inaccurate shots at long distances. Given the semi-auto and low damage nature of our current sniper suite, coupled with the general speed and evasiveness of many Legend kits, it already takes several challenging shots to down someone at range. Because of this difficult sniper environment, we’re also reducing general sniper weapon sway and hitting the DMR with a few targeted buffs to make it more viable to engage Legends at range. Separately from the sniper category, we are nerfing the Spitfire a bit, but our goal is to still keep it strong, as it’s a rarer spawning weapon. The Wingman is receiving a few magazine size nerfs, so that it doesn’t dominate the stock gun vs. stock gun battle early on due to its super high damage per bullet. Lastly, the Havoc is getting some general ammo and charge beam buffs to bring it in line as a viable energy ammo AR that competes with the R-301 and Flatine/Hemlok. The end goal is that the Havoc pressures a player’s ability to find Energy ammo, but is less dependent on finding attachments, whereas the R-301 and Flatline/Hemlok have less ammo pressure, but a higher reliance on finding more attachments to achieve power. 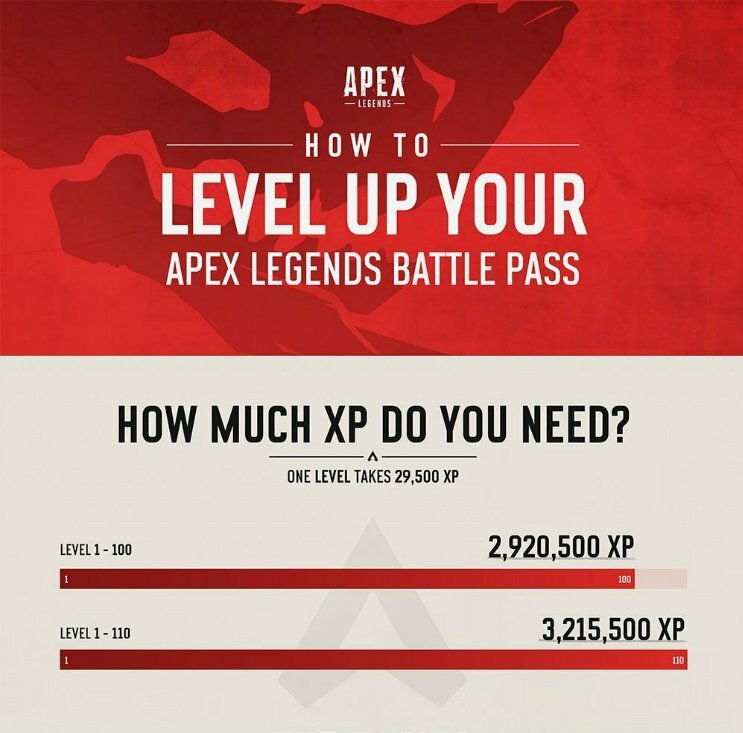 To mark these alterations (particularly the buffs to the Legends), Respawn’s announced a bonus Battle Pass XP event to mark the new patch. From 10am PST on April 16th through to 10am PST on April 18, your first Top Five of the Day (i.e. 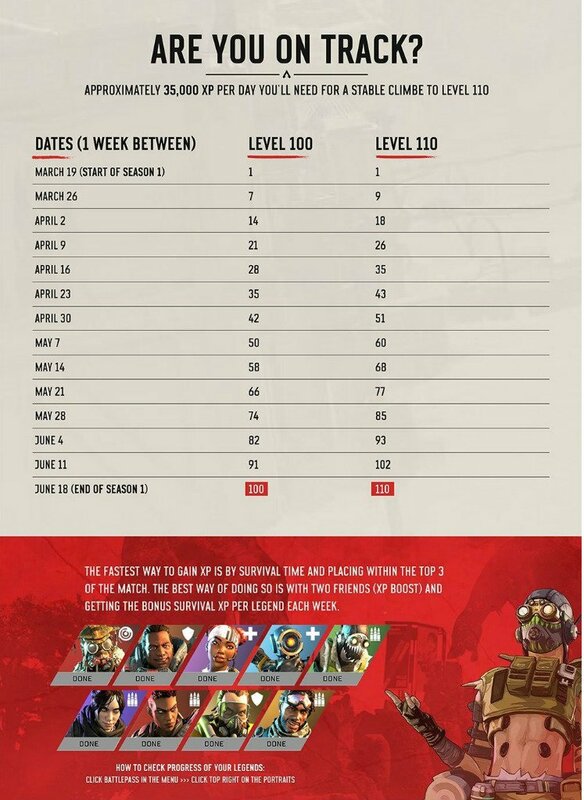 your squad places fifth or better) will mean you gain one full Battle Pass level (up to a maximum of level 110). That can be earned once every day. 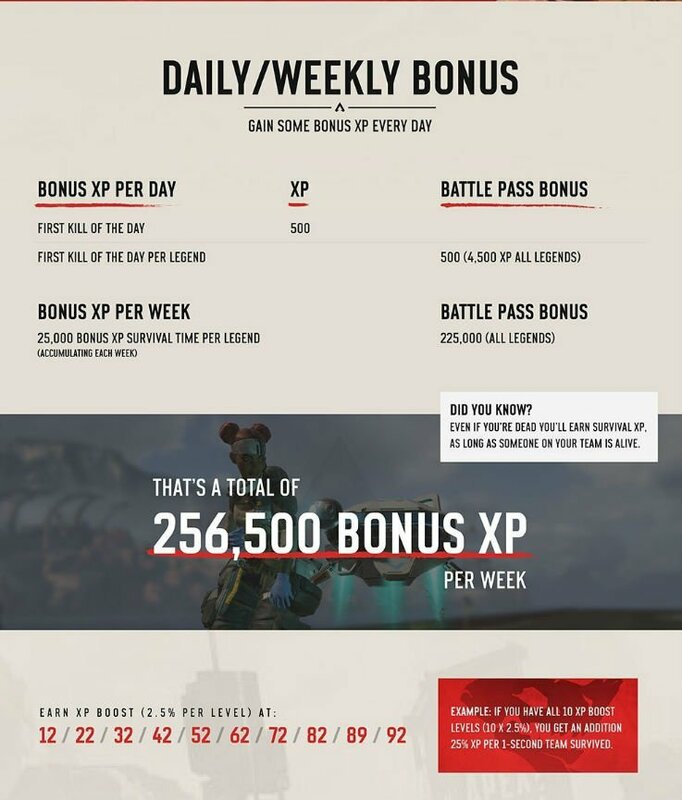 Also, it seems that there are more opportunities to earn bonus XP to come. 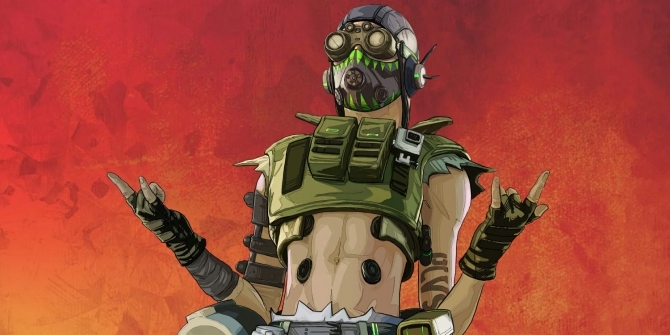 Say what you like about Apex Legends, but at least these extensive notes might stem some criticism of Respawn not communicating with players and responding to what’s going on in the community. If they carry on like this (and if Season 2 is an improvement on the anaemic Season 1), I reckon the game’s going to have some very long legs indeed.